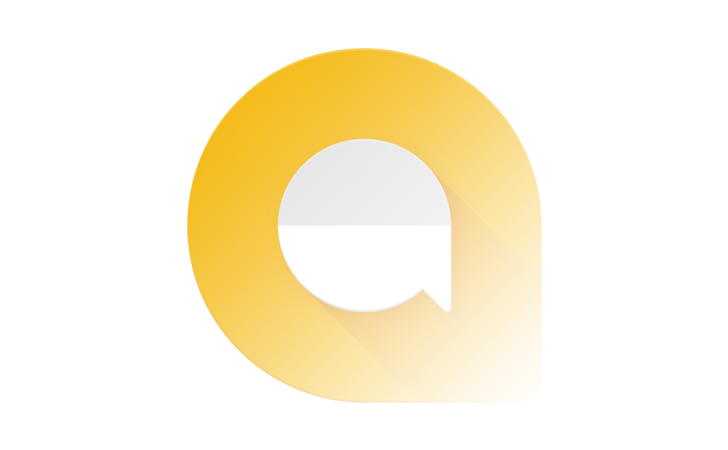 Allo was announced back in 2016. Unlike its popular video counterpart Duo, the app never really took off — so it was no surprise when Google formally announced the app's days were numbered in December. 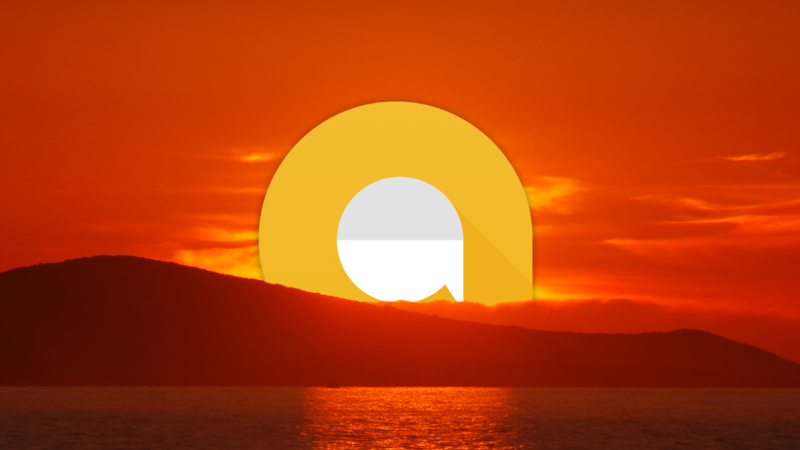 According to a banner on the Allo website, the service's time has come: it's shutting down tomorrow, March 12. Google's fling with Allo is officially coming to an end, and as we've seen with many other products in the past, that usually means it's time to grab your data and go. A new update to the Allo app is rolling out today that will make this much easier. 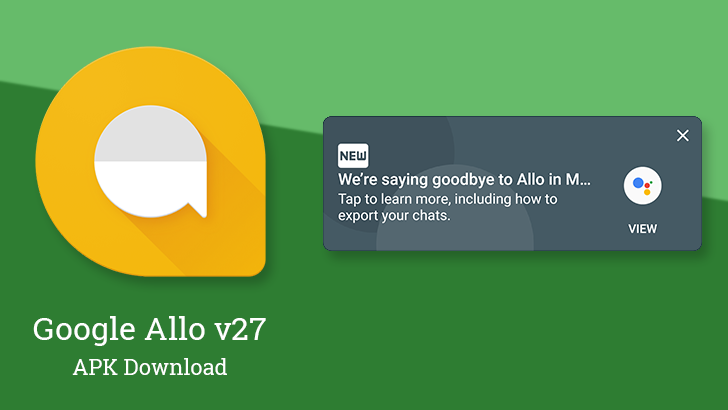 Using a simple tool, you'll be able to export your chat logs and any media for safe keeping before Allo closes its doors for good at the end of March 2019. Hot on the heels of a report that Allo may be shutting down soon, the aforementioned service has stopped working for many. On top of that, Duo and Messages for web are currently non-functional as well, pointing to an outage somewhere upstream. According to a report from 9to5Google, Allo's days may be numbered. 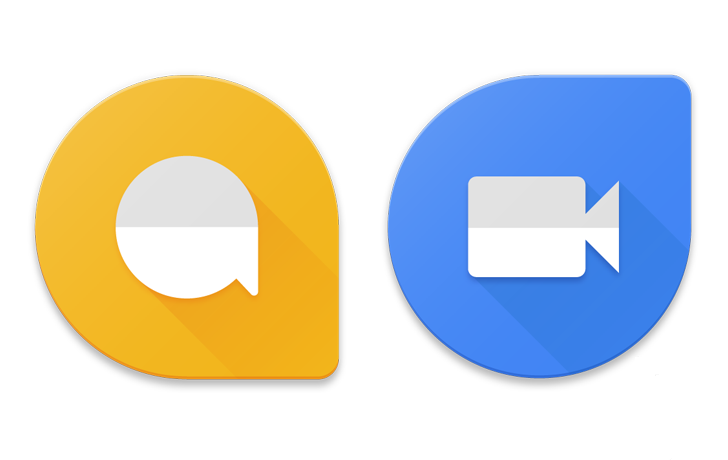 Details are admittedly sparse, but a source communicating with 9to5Google's Stephen Hall said that Google is (or was) expected to announce a shutdown of the messaging app "soon," though an additional delay could be imposed in the wake of the related news surrounding the expected "Hangouts classic" shutdown/migration. It's a meme at this point: Every two years, Google announces yet another new messaging platform that will finally give Android its iMessage competitor. 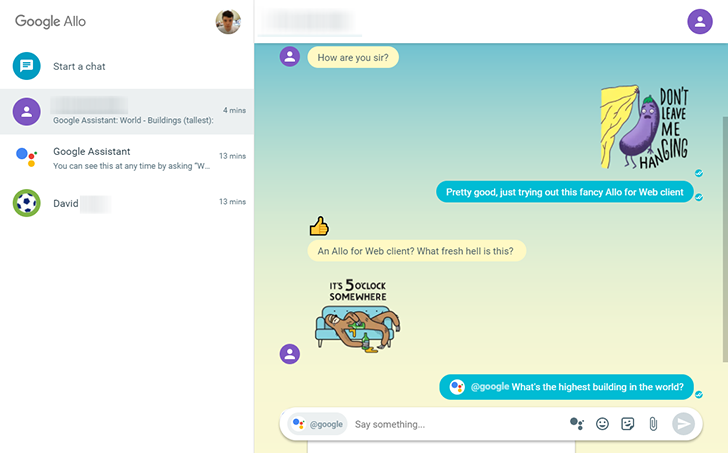 Those of you hoping Allo might break this cycle will be disappointed today, as The Verge has revealed that Google is pausing development for Allo and switching focus to the existing Android Messages app, paired with an investment in branding RCS messaging into something called "Chat." Allo is perhaps one of Google's most controversial products at the moment. It abandoned most of what made Hangouts great, in favor of connecting users by phone numbers rather than email addresses. The app has been slowly regaining some of Hangouts' functionality since release, including a web client. There's just one problem - the web app requires your phone to be turned on with a network connection. There's a new version of Android Messages rolling out to our phones. So far, we haven't seen any significant changes to the UI, but huge things are happening under the surface. A teardown reveals Google is getting ready to launch a web interface that would allow users to pair their phones with a computer for all of their texting needs. 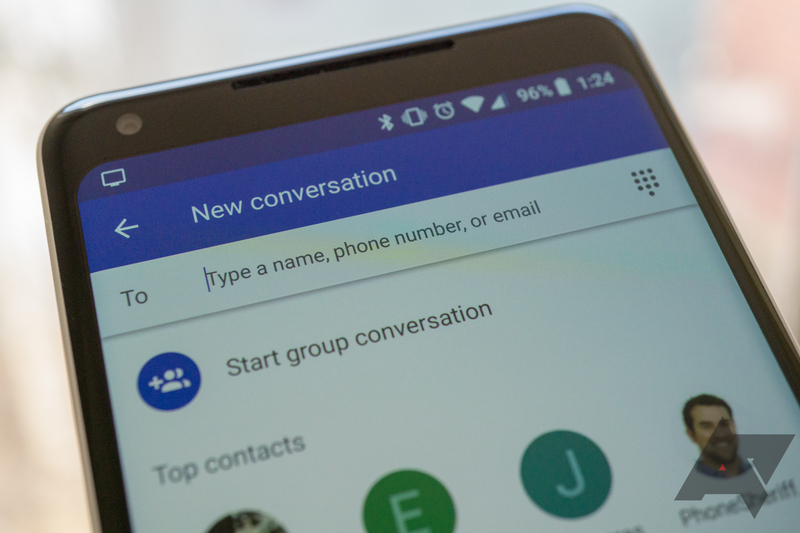 Google may also be planning to offer its own enhanced chat features to work with RCS messaging. And finally, it looks like we'll be able to buy things from companies right from within Android Messages. Grab the APK at the bottom of the post if you'd like to get your hands on it before everybody else. 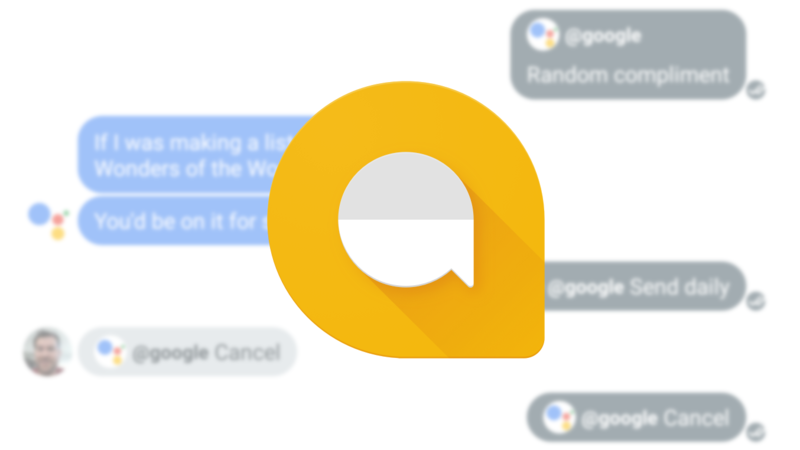 Allo's small userbase has become somewhat of a joke in the Android community, but the fact of the matter is that there are actually people who use Google's latest messaging service. Crazy, right? If you do use Allo, you might have noticed that your messages have been stuck on "Sending..." with none of them actually being sent. Don't worry; you're not alone. Allo seems to be down for everyone right now. Allo updates are starting to roll out, but as the trend has been going, there's not much to see in the main interface for this update. However, tearing down the APK has turned up signs of good things to come. Support for using Google accounts to find contacts and start conversations is going to be pretty robust as hints suggest we'll be able to sign in multiple accounts. There's also a new camera effect listed, a little activity around the scene generation feature, and a hint that the behavior of bots may by changing.